It was a night where no one was cooking – a ‘fridge raid’ night! I was going to have to McGvyer up a meal from whatever nonsense that was in the fridge. 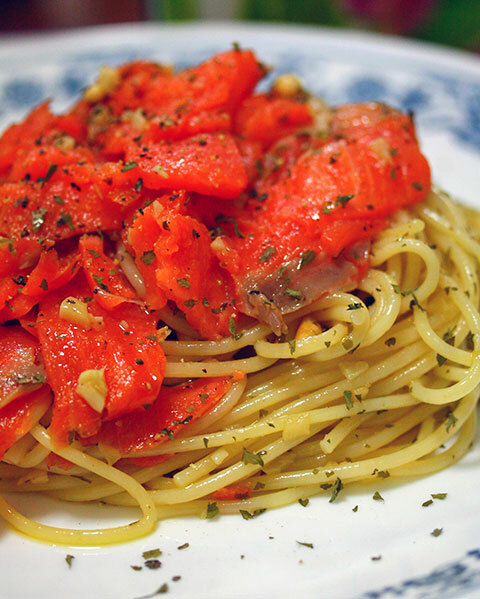 I found smoked salmon, some pine nuts and spaghetti, so the easiest thing would be some form of pasta. Normally, smoked salmon in pasta comes in a cream based sauce. However I had no cream or tomatoes at all in the fridge, so it would have to be an olive oil based sauce this time – which meant aglio olio. 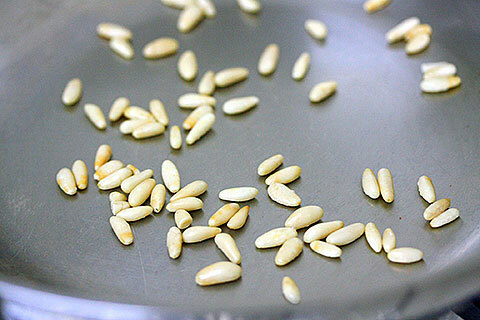 To add additional flavour, I decided to toast the pine nuts. 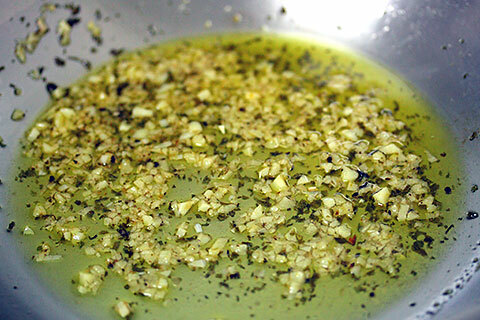 Lots of extra-virgin olive oil to saute the garlic and freshly-ground black pepper. 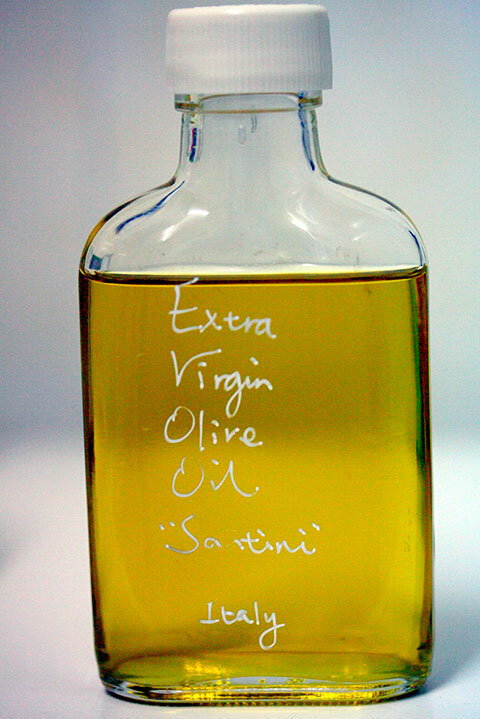 I finished off the dish with some Italian “Santini” extra-virgin olive oil that I bought from Vom Fass. 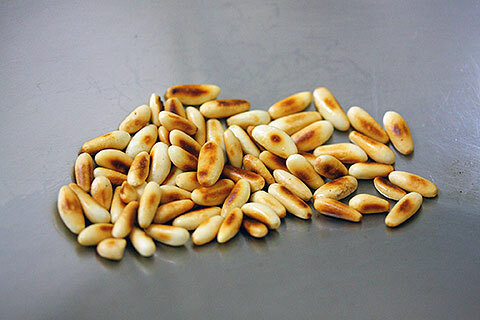 It has a sublime flavour with a burning peppery aftertaste that appears in your throat only. And this is the completed dish! 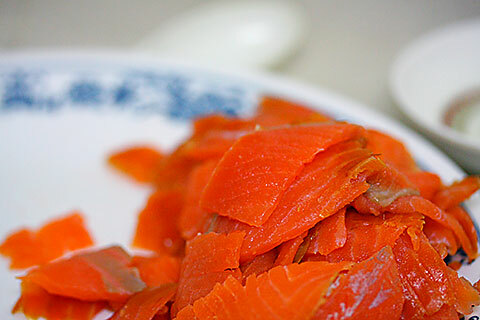 Easy and fast to make; try it if you ever get lazy and have to cook at home, since you don’t actually have to even cook the smoked salmon. 4 Responses to "Smoked Salmon Spaghetti"
brown onion with butter,add smoked salmon,blend with vodka or brandy..put cream and minced parsley…;)boil pasta and sautee with salmon sauce ..